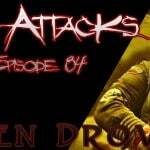 During this episode we welcome Shawn Drover of Act Of Defiance to the podcast. Most of you will know him as the drummer in Megadeth, actually he held that spot longer than anyone else in the band’s history. 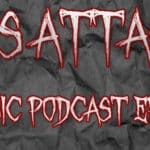 In any event, the episode surrounds the new band Act Of Defiance which also features former Megadeth guitarist Chris Broderick, former Shadows Fall guitarist Matt Bachand on bass, and former Scar The Martyr lead singer Henry Derek Bonner. During the interview we touch on such things as deciding to continue to work with Broderick, writing half of the album’s tracks, how the album was recorded, if his setup will change once the go out on the road, and what bands he’d like to go out with. During the episode we play sound samples of tracks by Act Of Defiance, Sepultura and Fear Factory. Support the bands you love, and help the podcast out at the same time by picking up the album via one of the links included below.